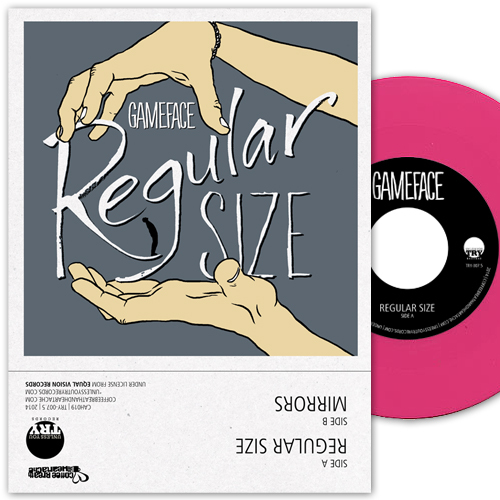 Unless You Try Records - Gameface - Regular Size 7"
**THIS IS A PRE-ORDER** 7"s expected to be with us before end of September! 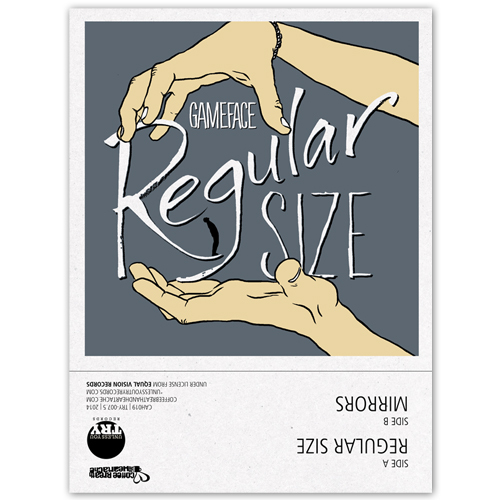 This second 7" off their superb comeback LP, "Regular Size" is a two-tracker featuring the title track and a previously-unreleased Justin Timberlake(!) cover song, "Mirrors". For those of you familiar with the LP, you'll already know that this perfect summer O.C.-punk tune features vocals from Frank Daly of Big Drill Car and is guaranteed to stick in your head for weeks with Jeff Caudill's ability to pen the hookiest guitar hooks of the genre! 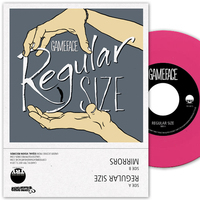 The reformed line-up sounds like they are hungry to write more and the unreleased B-side makes this 7" a great addition to the vinyl catalogues of old fans and new alike. A massive thanks to the guys at Coffee Breath for their help in getting this exclusive version, and a shout-out to David at FairTrade Merch, who is responsible for the awesome screen-printed jackets! Comes with free digital download. 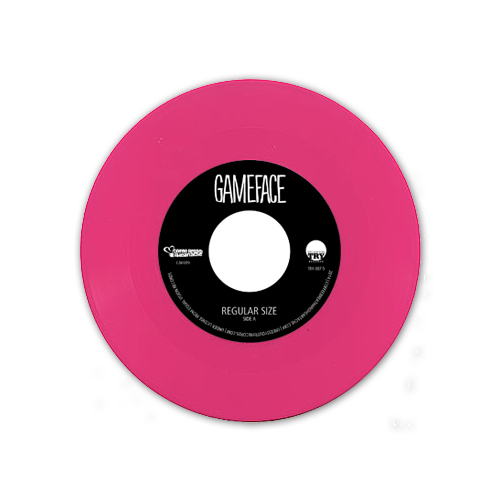 - 200 copies available from CoffeeBreath and Heartache on blue (100) and yellow (100) wax. First 50 orders will come with a handsewn, handscreened bag.